Why is it that, in places where nothing is needed, there is often nevertheless a nagging architectural compulsion to add something anyway, be it an object, a folly, a pavilion, a convoluted pergola…whatever? 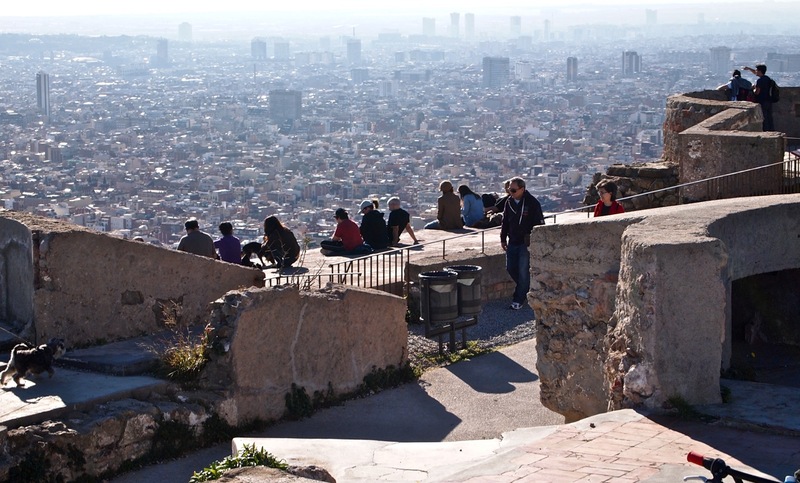 I started asking myself this question (again) after a recent hike on the Turó de la Rovira, the highest of the six hills that puncture Barcelona’s urban fabric. 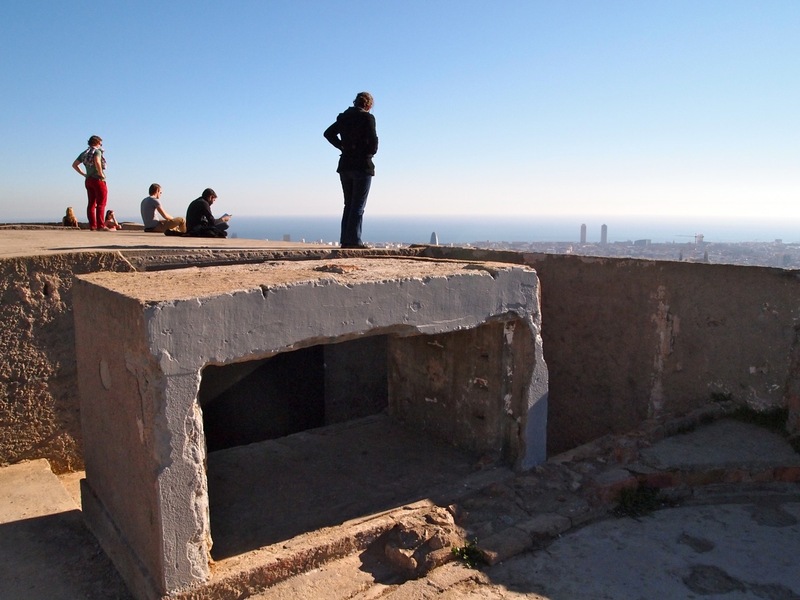 The hill is best known locally for some anti-aircraft bastions remaining from the Spanish Civil War (the first war in which the aerial bombardment of cities took place). 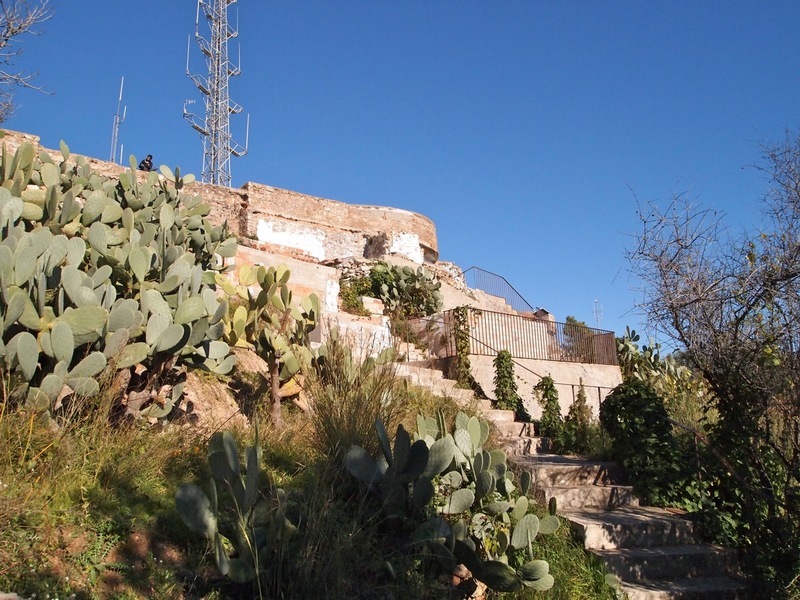 Later, from the 1960s to the early 1990s, the hilltop was the site of a shantytown built by migrant workers from southern Spain. Most recently, after degenerating for some years into a needle park, this area was transformed into a sort of “memory landscape” which went on to win the 2012 European Prize for Urban Public Space. Naturally, I wanted to see this place for myself. 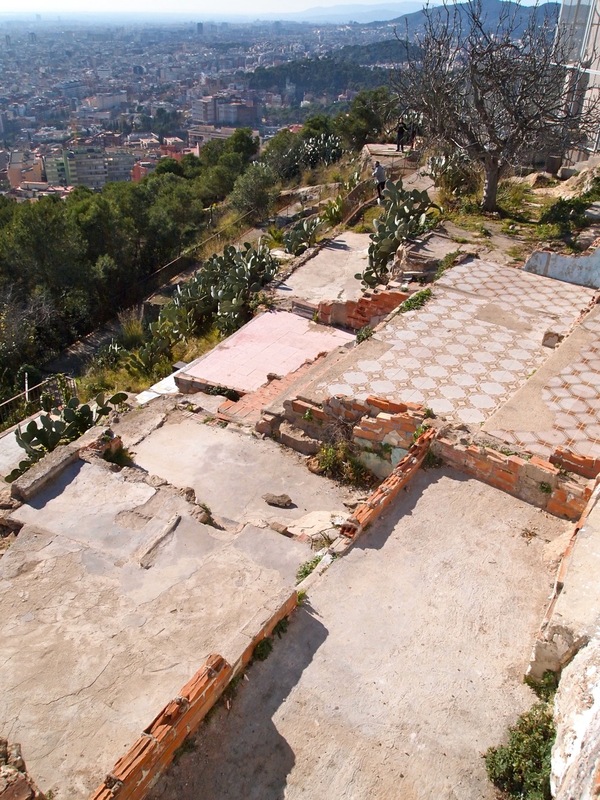 Slowly, however, as I noticed what appeared to be some not-very-ancient ruins of houses abutting the bastions, it became evident that the architectural design-idea of this public space consisted of creative revealing or peeling-away of layers instead of the usual (this being Barcelona) creative construction. 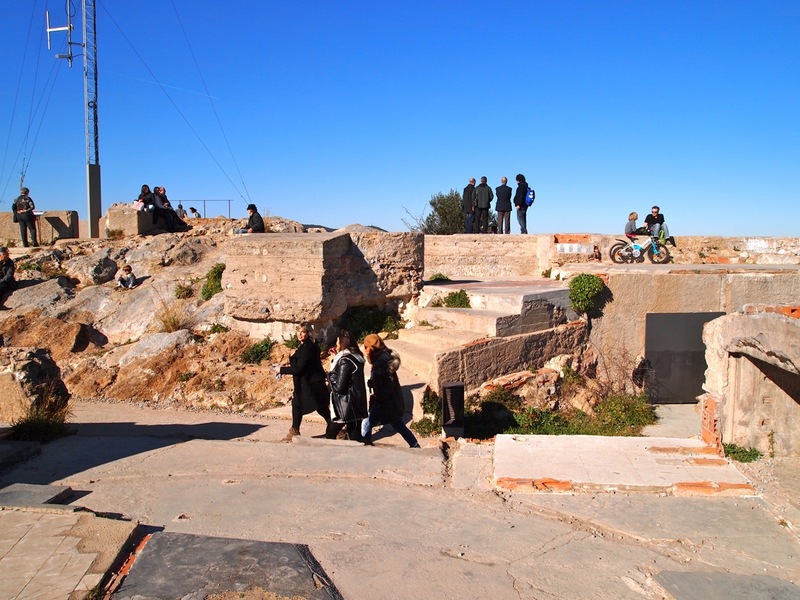 Ordinary hollow-core brick wall remnants, concrete steps, and gaudy 1970s floor tiles–remains of the shantytown–together with the restoration of the bastions are the only elements that comprise this project. OK, yeah, the handrails too. 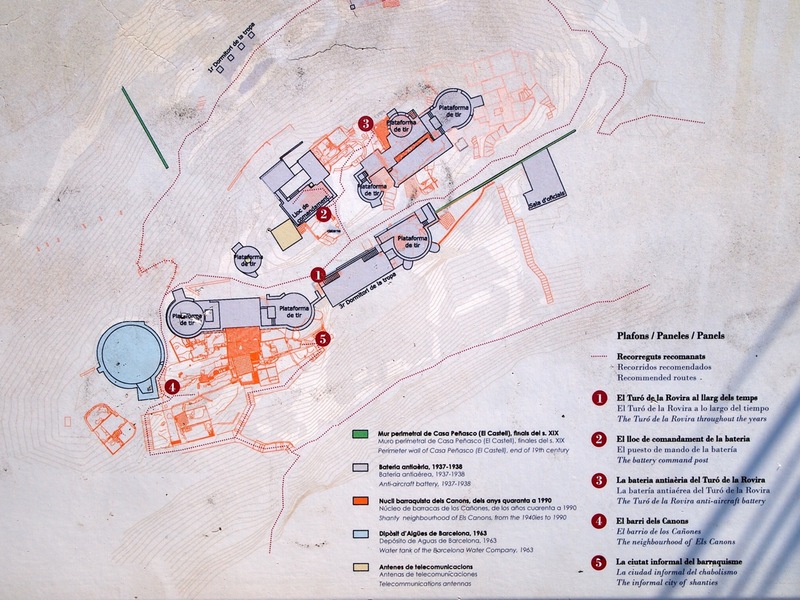 Architects JDVDP and AAUP evidently intended to reveal existing archaeological layers rather than to add, perhaps somewhat presumptuously, a new layer. To that end, the designers’ hands are invisible, imperceptible. Certainly, there is no object, no logo, and no architectural drum solo. What is there? A richly layered place where it’s alright to tread on the ruins. Nothing else was needed here, and luckily for all that fact was recognized.